If/when Andy leaves I'm not sure we'll be quite as decimated as when Brad left. I'd expect Sam Youngs (the only remaining ex-Chesham player) to follow him, perhaps Joe Wright too. The old Billericay boys, Johnson, Bricknell & Taafe might stay (particularly if the rumours of BB's 2-year contract are true). Micky Parcell is ETFC to the core so can't see him going anywhere. It would all depend, of course, on who any new manager wanted to bring in/ship out. I fully understand that managers move and players follow. I wasn't trying to suggest that it was an isolated happening. I was trying to put AL's task when he joined in some perspective. In passing, the Australian club I list in my profile is a club that I was a director of for nearly 20 years, that I am a life member of and of which I have just published a club history. At the end of last season our coach/manager announced that he was moving to another club. The upshot was that every senior player left and we have had to start from scratch - new manager and a totally new team. Talk about deja vu. I will still support Knox City and Enfield Town. Just an observation from an outsider, I thought Andy Leese would do well for Enfield when he became your manager,as his Chesham team was a successful one over the years and he appeared to be good at spotting talent and he did built a very good side there. At that time he had Jon Meakes working as a coach with him. By what I've read on your forum, most of the Enfield fans view the football being played as poor and Enfield just don't seem to be consistent enough to challenge for the play off's. Do you think all the blame should be laid at Andy Leese's door, as he now has younger rookie coaches beside him. Steve Wales was Chesham's best player back in the day but I don't know what he like as a coach. I'm not watching Enfield play week in week out but getting rid of a manager after just two seasons,might not be the best move for your club.Look at Kingstonian as an example.They are on their third manager of the season and have wasted money galore. I believe to build a team that consistently challenges at the top, season after season,takes time to build. Yes, you can get a flash in the pan manager who gets promoted first season but 9 times out of 10 the team then gets relegated straight back the next season! To me finishing 18th with a hastily put together new squad, and then this season hovering around mid table, after recruiting more new players to your squad, in a division that Andy Leese has only had two seasons to find out about, isn't as dreadful as some of you seem to think. Nobody wants to watch dull uninspiring football but sometimes building a team to entertain and get consistent results takes time to do. At Slough,the club I support, our joint managers have been at our club six years, and we hope to keep them for a lot longer yet, before them our previous manager stayed for 5 seasons [one season probably too many but still did a reasonable job that season]. It appears to me the difference between Slough and Enfield is that Slough are enjoying their fruits because of their stability,on and off the pitch, whereas Enfield [a club known as historic name in non-league football] have become impatient for success and have not got stability. It may be, that you have the wrong manager to build the dream team you want but I think you may also be underestimating what another couple of seasons could do for his team, and you fans. If Andy Leese could get your team to say another 7 place leap in his third season, so from 11th to 4th position, would you not be happy with that? As surely you will be challenge for the title within the next two seasons. Sacking Leese means you've got to start all over again,which means back to the drawing board. Thanks, 3spirit, for an interesting and well reasoned view. Pleased to hear about the stability at Slough Town and sounds like you're very happy with your management team. 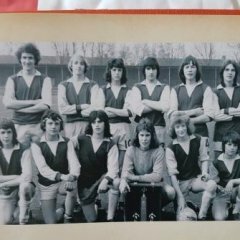 I see that they too started from scratch by taking most of their squad with them from Godalming Town at the outset and achieved promotion in their first season! I believe you've had another promotion since which won't have harmed their cause. Remarkable to see that Slough are also 11th in the league with an identical points tally to us and an identical record this season of 15 wins, 10 draws and 13 defeats - though you've scored a lot fewer goals. Slightly surprised if the good people of Slough are satisfied with that, particularly as you're not scoring much more than 1 goal per game? Admittedly you are at a higher level than we are. That is the crux of most peoples annoyance CC. We didn't set the targets AL did. If I said to a client, on behalf of my firm, that he would receive an opinion on a problem in writing by a certain date woe betide me if I failed. Blaming my staff for my failure would not have endear me to them very much and it would have destroyed our working relationship. This to me is AL's biggest failure. I say this based on what I have read on this forum. It has been suggested that AL has said to supporters on several occasions that the players do not follow his instructions. An admission that, if true, would have been best kept to himself. It's really interesting to read 3Spirit's post. On the one hand it's heartening to read about the love of the club from miles away. However, that geographical distance also insluates from the soul-destroying reality of having to watch an Andy Leese team, and attempting to have a meaningful conversation with him. Having to watch Enfield is not pleasant nowadays, and that has been covered very well recently. What has been mentioned less often, if at all, is how awful Andy is at communicating with the fans. Whatever Brad did after he left he was BRILLIANT at chatting to US! My sons loved him, even if we lost a game, Brad would be be there, on the pitch or in the bar. And he would TALK to us. Properly. Not just that he would sign programmes, have photos taken, and REMEMBER my sons' names. That meant SO much! We would leave the Donkey Dome talking abiut how nice Brad was even if we lost. Andy makes it clear that he can't even be arsed to talk to us. By the way, I should mention that neither if my sons have any interest in watching ETFC now, specifically because of Andy. Of course, they have no interest in tactics and formations etc., but they understand if someone wants to talk to them. Suffuce to say that I've stopped going due to the lack of decent football and my sons don't want to go due to the lack of decent communication. EVERY manager will say what their targets are and will exaggerate them. Do you expect any to say they will have a poor season and don't hope to win many games? Objectives should be realistic and achievable. I don't think it was an impossible target, and as MbrunoB says, I'd much rather we aimed high and failed than set a much lower target and achieved it - surely that's showing more ambition? Don't get me wrong, I'm not impressed with how things are going of late, but I struggle to agree with this particular line of criticism. Barney I too have struggled with understanding MB 's views. It is obvious from his cryptic posts that he adopts an air of disdain of those of us who desire change which makes me wonder whether he has an underlying vested interest in the status quo. Something which seems widely prevalent these days. I'm far from impressed with him lately and I don't even want to consider it again next season. I certainly wasn't struggling to understand MB's view - I was finding it difficult to agree with a couple of posters further back in the thread who were questioning Andy's decision to set an ambitious points target. Barney I had read your comment not knowing that Andy's post intervened between your's about 5hrs ago and my reply. Having reread the sequence of posts I now understand clearly your position. Of course targets are set for all manner of situations. But they still have to be considered by the proposer to be realistic. Since A/L has not achieved a pts per match target above 1.3 in his last three years with Chesum FC he rather over egged it a bit.Yes the target of 2pts per match is the least accepted criterion for automatic promotion but rarely for a team in a playoff position. If we win our last 4 games our ratio will be 1.59pts. Roughly a 25% shortfall. Which would not be tolerated by any other business unless you were considering voluntary liguidation. AnfieldTowner, thanks for your response. The difference between Slough and Enfield in terms of league position,is that Slough are in their first season in the Conference South. Most of the Slough fans just wanted to avoid relegation this season but our managers and squad have been excellent and we have matched most of the teams in this league. Two weeks ago,we beat 2nd placed Woking at their place and even against leaders Torquay away from home,we got to half time unscathed 0-0 but then had a man sent off and lost 4-0. Torquay are a full time side and the best team in our division,so it was no disgrace. Yes,we are very fortunate to have our joint managers,they have been a breath of fresh air since they came to the club and they are great at communication with the fans, and even join in the talk on our fans forum on occasion. As Behind-the-goal said Andy Leese is not good with communication to the fans.Our previous manager, Steve Bateman,was like that.Perhaps it's just an old school thing. Most managers hype it up. No manager will say to fans at a start of a season, that their team is likely to finish mid table. Even Slough's joint managers over egg what the team will do. If fans thought from the outset that their team was going to finish mid table, a lot of them wouldn't bother going to matches. I sympathise with the Enfield fans, if the football being played is awful, as I've been watching Slough for over 30 years and we've had some shocking managers in the past. Ironically,one of our more successful seasons,when we were in the Conference,we had to endure the long ball game all season and that for me that was as tedious as hell. I would have rather, we had played some good passing football and finished mid-table but we fans don't always get the choice. I've been keeping an eye on Andy Leese's signings over the two seasons at your club, and on the player front I think he has recruited well. I know a few people that don't go a bundle on Andy Leese but as a manager he is no one's fool and has steadied your ship, so I would have thought one more season under him would be worth it, as your team has progressed over two seasons under him, and it isn't like he has spiralled your team down to the relegation places but it's not me, that has to watch Enfield ! Anyway, best of luck for the rest of this season and the next. Absolutely Theo! Spot on! If the football is not enjoyable to watch: if the the team fails to achieve; if the manager isn't capable of having a chat; if he positively alienates youngsters; what is he there for?